PRWeek takes a sidelong look at recruitment in public sector comms. 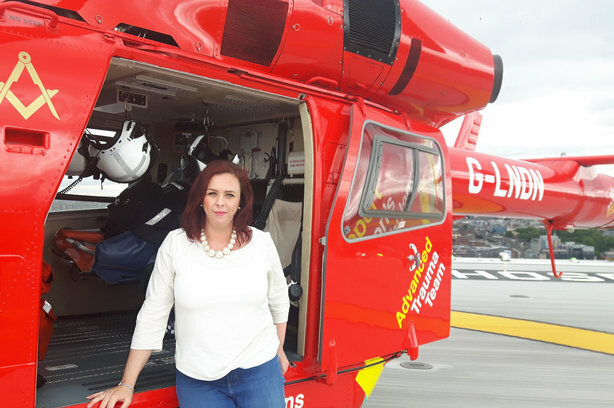 Do you fancy Siobhra Murphy's job as head of PR and communications, London's Air Ambulance? I studied Health and Social Care and then Business and Investment. Although it was a wonky path, it’s given me a good understanding of people, and their behaviours and emotions that I have been able to bring into the industry with me. Some sort of communications degree would be useful but our organisation places a lot of focus on experience and cultural fit. I worked in Financial PR before coming to London’s Air Ambulance and did a little stint with a digital marketing agency before that. I started here as PR Manager and have grown with the organisation. I’m very lucky to have had amazing mentors along the way so I been able to learn a lot on the job. If someone was joining at my level now, previous experience in a senior communications role would be essential. I wouldn’t say so. Experience working in a fast-paced communications environment would be very useful – perhaps a role with another emergency services or transport organisation. Charity communications would stand you in good stead also but is not essential. The unpredictable nature of the service we deliver means that trying to balance proactive and reactive tasks is an ongoing battle. Most of the incidents that our team attend will be in the media spotlight and if they land the helicopter nearby it’s game over. I enjoy it though, it keeps us on our toes and I have a great team. As an organisation, the biggest challenge is changing preconceived misconceptions that we are funded by the Government. All air ambulances in the UK are charities and we all struggle with this. It probably doesn’t help that our organisation is so complex. While we are a charity, we operate in a tripartite partnership with the London Ambulance Service and Barts Health NHS Trust. By far the people. It’s like a big family. Everyone is so passionate and respectful about each other’s role in treating very ill patients – from the fundraisers and support staff to the frontline crew. The medical and operational teams, in my eyes, are absolute heroes. Performing surgery at the roadside in the wind and rain, with chaos going on around them and, in some cases, bringing people who are clinically dead back to life - that’s mind-blowing and I am always in awe. And of course the helicopter is pretty cool, too. That trauma (which means ‘injury’) is the biggest killer of people under the age of 45, even children. Not cancer or heart disease as you may expect. That you are a team player and can juggle lots of moving parts while still functioning, and that you like to share chocolate biscuits with your team. You will only do what is defined in job role description. It wouldn’t be unusual to be asked to pack sweets in a few hundred bags or to dress up and act as a policewoman to help with the medical scenario training, so you need to be prepared to roll your sleeves up and get stuck in. Being a zookeeper. There are so many different species to nurture who require different foods, feeding patterns, levels of communication and tender loving care. If you get it right it’s an enjoyable experience for all, if you get it wrong you might get eaten.